When you injure your shoulder and the pain is too sore to bare a compression sleeve could help. Whether you’ve got a job that involves heavy lifting or you like to do your heavy lifting in the gym in your spare time. a blown out shoulder can have you out of action for a long time, and if it doesn’t heal properly, your shoulder might end up giving you trouble for the rest of your life. If you’re coming off a shoulder injury or have just had surgery, you’d do well to look into getting a good shoulder brace. This will help keep your shoulder supported and in the right position so it can both heal and avoid further injury. In order to help you with this, we’ve put together this helpful guide to the best shoulder supports available right now. This list has been updated to reflect new products that have been released in 2019! 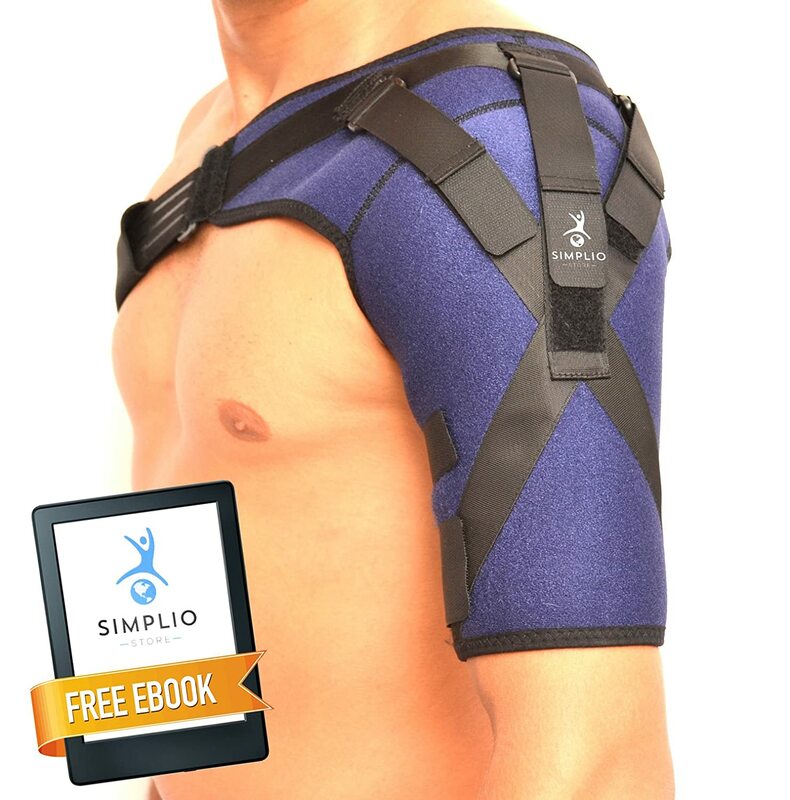 Speed up your recovery process with this firm and durable shoulder support. 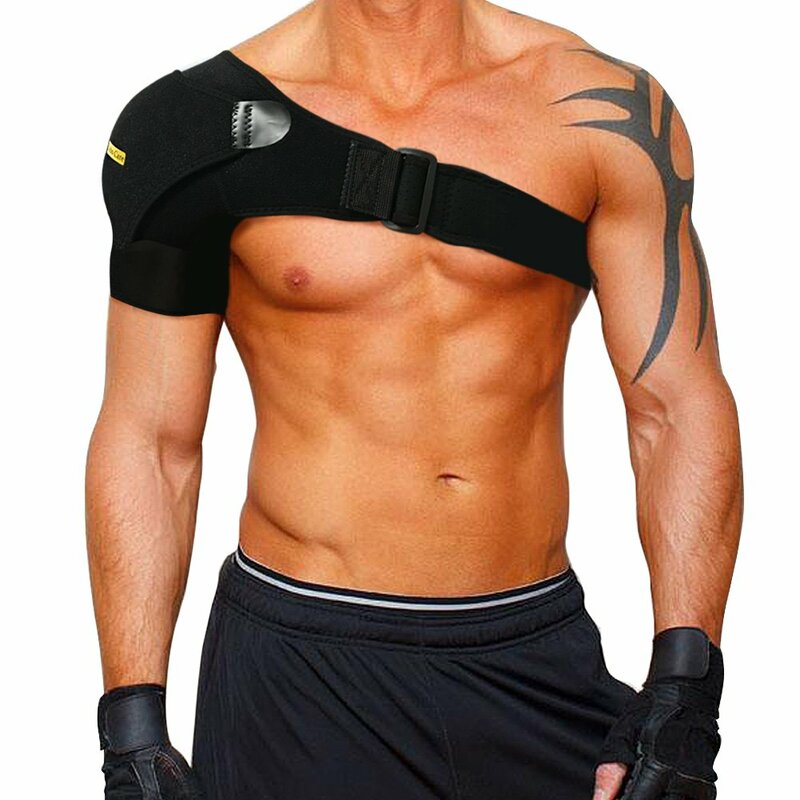 Adjustable shoulder brace will give you firm compression and help prevent you from further injury while you recover. It is made with breathable neoprene fibers, which ill ensure that your skin can breath and keep you cool and comfortable. 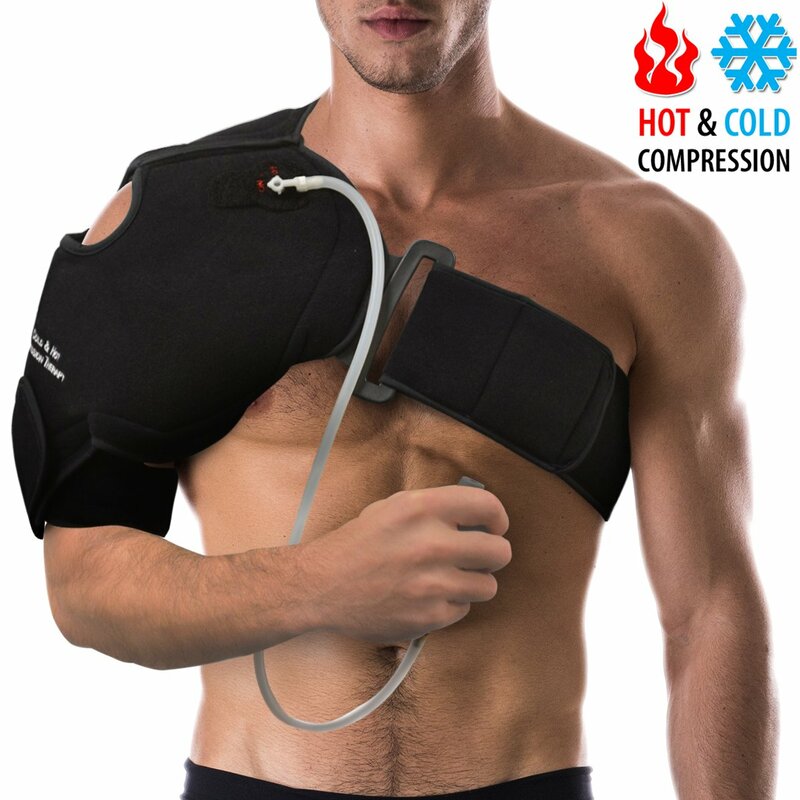 What’s really great about this particular one is that it has a pressure pad which can be used with either ice or a heated pad to help bring you pain relief and assist with your shoulder tendonitis. So if you want to heat or ice your shoulder, this might be the one for you. 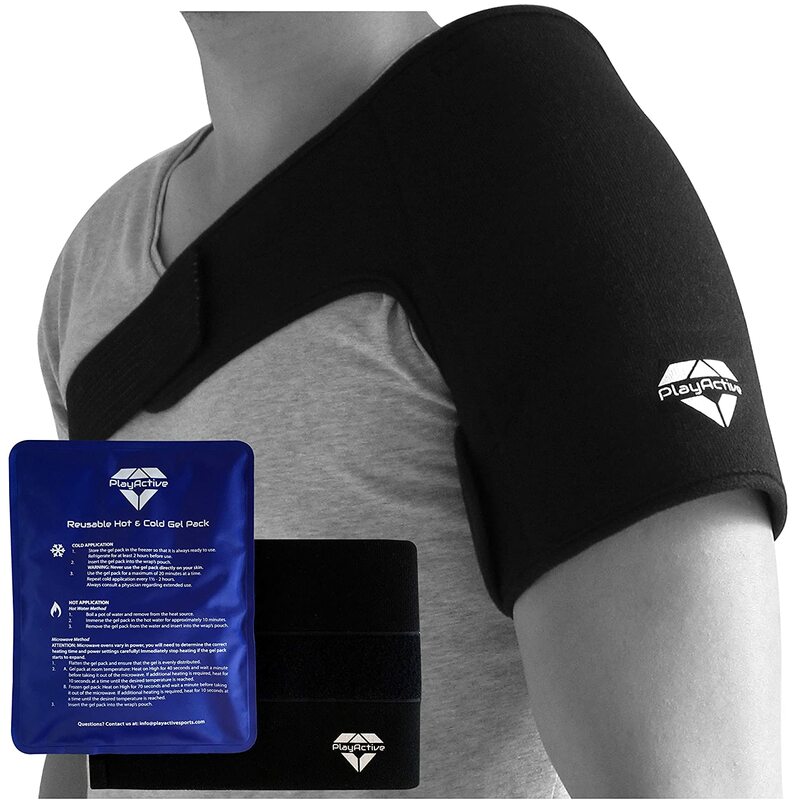 If you’ve recently had a shoulder separation, sprain or frozen shoulder, this adjustable shoulder compression sleeve will help you keep your shoulder firm and properly placed as you heal through the process. The Velcro straps and buckle will help you make sure that the support is molded correctly to your body, and its neoprene fabrics will ensure that your skin doesn’t get all sweaty and uncomfortable. This also has a slot for an ice pack or heat pack, so you can use that as well if you want. Like most other supports on this list, this will hold your shoulder in place and keep it steady as you recover from your injury. Like some others, it also has an inbuilt get pack that you can use for hot or cold therapy. 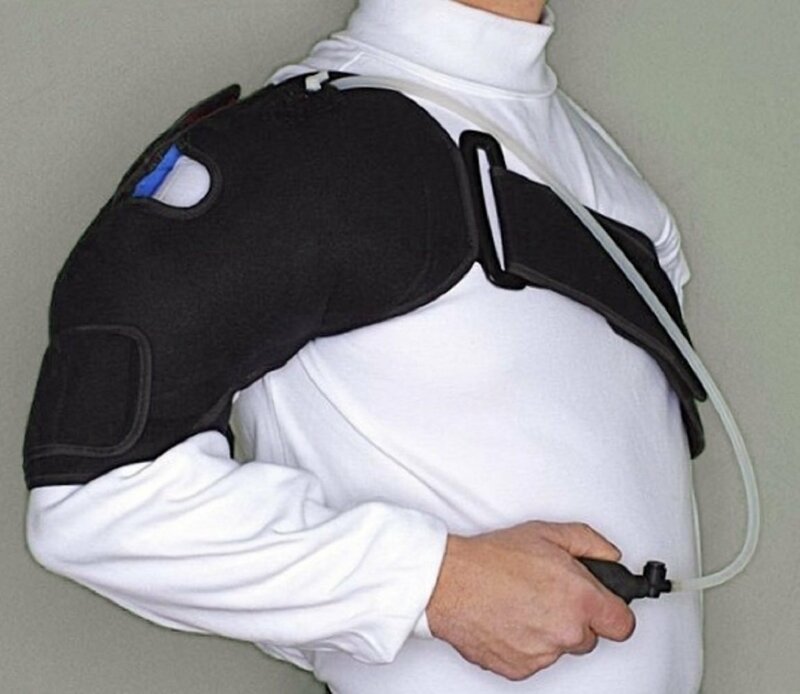 However, unlike most others, this one actually has an air pump built into the brace, so you can manually adjust the amount of compression you put your shoulder under. Therefore, if you need a shoulder sleeve with an air pump, this is what you are looking for. However, we recommend you only use this is your physician or a medical specialist has specifically advised you to use one of these, as it might not be helpful if you don’t know exactly what you are doing. recovery process with this shoulder compression sleeve. This will bring you comfort and stability while decreasing muscle tension. Best of all, this can easily be worn under your clothes, as it has been designed to go under your gym kit or office clothes while being very discreet. It is also fine for both men and women. 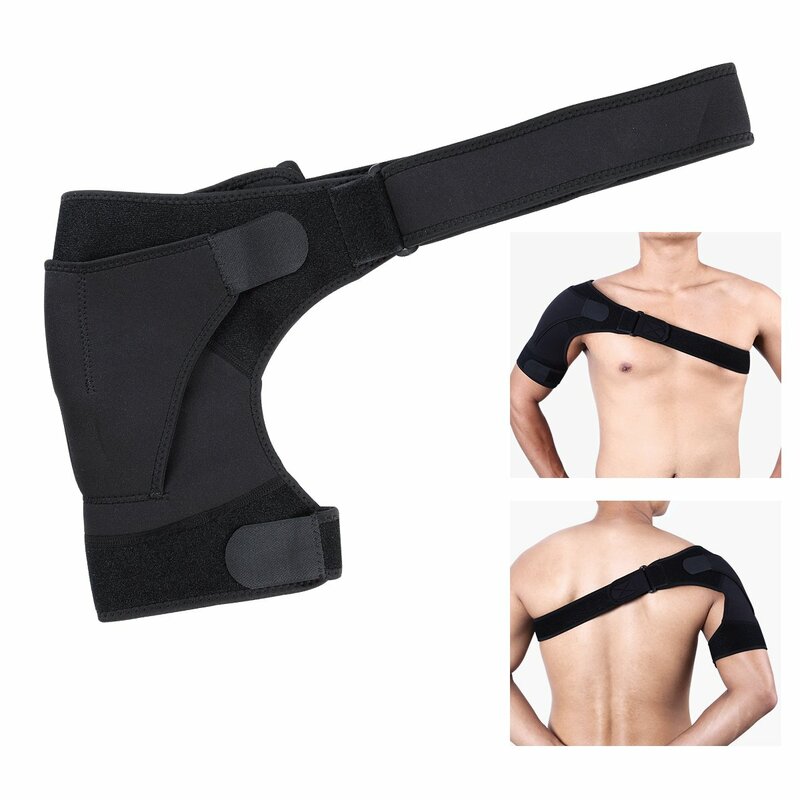 Get quick and lasting relief from shoulder injuries, rotatory cuff problems, frozen shoulder sand shoulder dislocation with this adjustable support. It takes the stress off your arm to promote blood circulation and provide good compression to alleviate pain from strenuous activities, which will give you the protection you need in order to get back to your active life as soon as possible. You can also use the adjustable straps to make this perfectly fit your arm, and it is easy to loosen or tighten as the days goes on. Come back from your shoulder injury with avengence with this great compression sleeve from Zenkeyz. The rbace will give you compression and stability to help with conditions like Rotator cuff, Dislocated shoulder, AC joint injuries, Bursitis, Labrum Tear, Shoulder Pain, Sprain, Soreness, Tendinitis, and Arthritis, and it also has a pocket for either ice or heat packs (packs not included) to be used for that extra pain relief you may need. This sleeve is very easy to use and to wear, so you won’t need any help putting it on or taking it off. This package also comes with a shoulder pulley for extra help in your recovery. 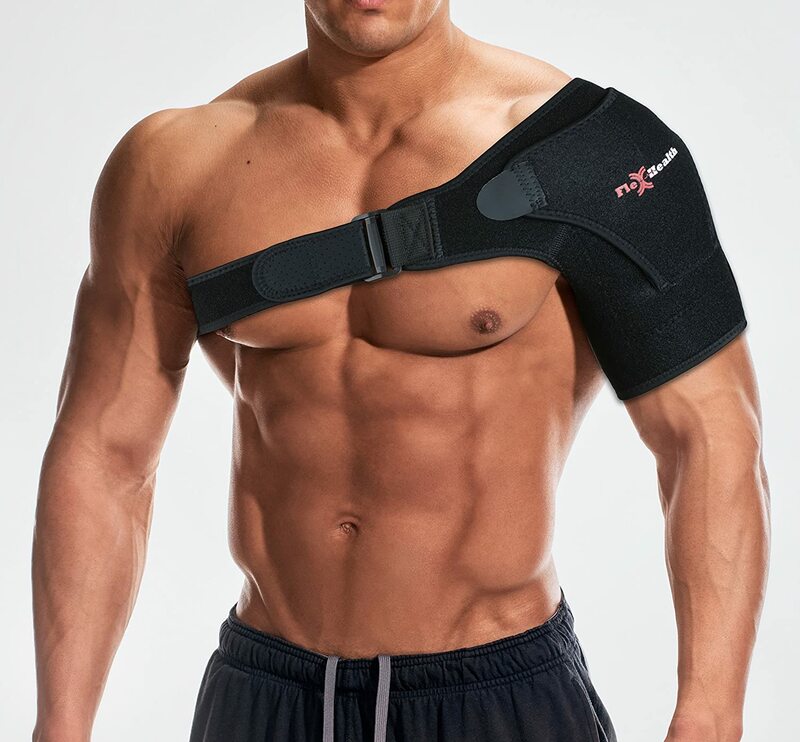 Whether you’ve had something very serious like Bursitis, Tendinitis (Tendon Inflammation), Tendon Tears, fractures or dislocations or something general like instability or strains, this shoulder brace will help get you back on the road to recovery. This will give you maximum support and compression, and in as little as one week you might be fully recovered, and at the very least, you’ll be healing and feeling better. This is also a universal fit product, so anyone can wear it, both men and women. Best of all, its neoprene fabric is is breathable, odorless AND machine washable, so you can take it to the gym confident that you cam wash the sweat and grime out. This brace is a great choice if you want to use ice and compression to help ease the pain of shoulder injuries. With both a gel pack and an air pump, allows for maximum comfort and pain relief. You can remove both the air pump and the gel pack too, if you would like, which helps pump down the bulk of this brace if you want to wear it under your work clothes or uniform. While this is all great, what makes this wonderful is that it has a drip free fabric to allow breathing, so neither the thawing of the gel pack or any sweat will damped your clothes when you are wearing this. If your doctor has recommended you ice your shoulder or use air compression, this might be the best option for you. Strong straps and a sturdy slung will keep your shoulder tight and protected as you heal from injury with this product, speeding up the healing process and protecting from further injury in the process. The breathable neoprene fabrics are both comfortable and breathable., meaning that you’ll feel fine wearing this and it won’t make you hot and itchy. We also really like that this one is easily adjustable with its straps, so it is good for all shapes and sizes and both men and women. This will be very good for both athletes and tradesmen and women who work physically demanding jobs. 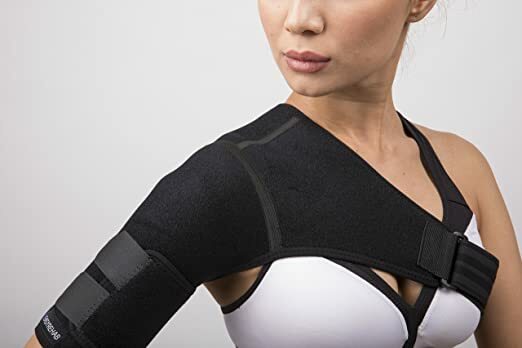 This support looks almost like a piece of futuristic armor, so you can be confident that it will protect your shoulder strain from further injury and hold it in a good place to let your body heal properly. With compression bands and adjustable support sleeves, this will let you set it up perfectly for your body, and you can tighten or loosen it to get the amount of pressure and support you need. 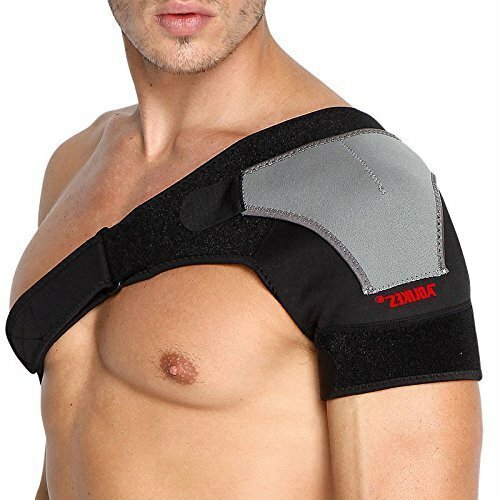 This has been specially designed to provide stability and compression support while protect your shoulder from further injuries including dislocation, frozen shoulder pain, rotator cuff, joint instability. It can be worn on either shoulder, and both men and women can use it. You can also use the straps to attach your own heat or cold gel packs to give you that extra bit of relief. 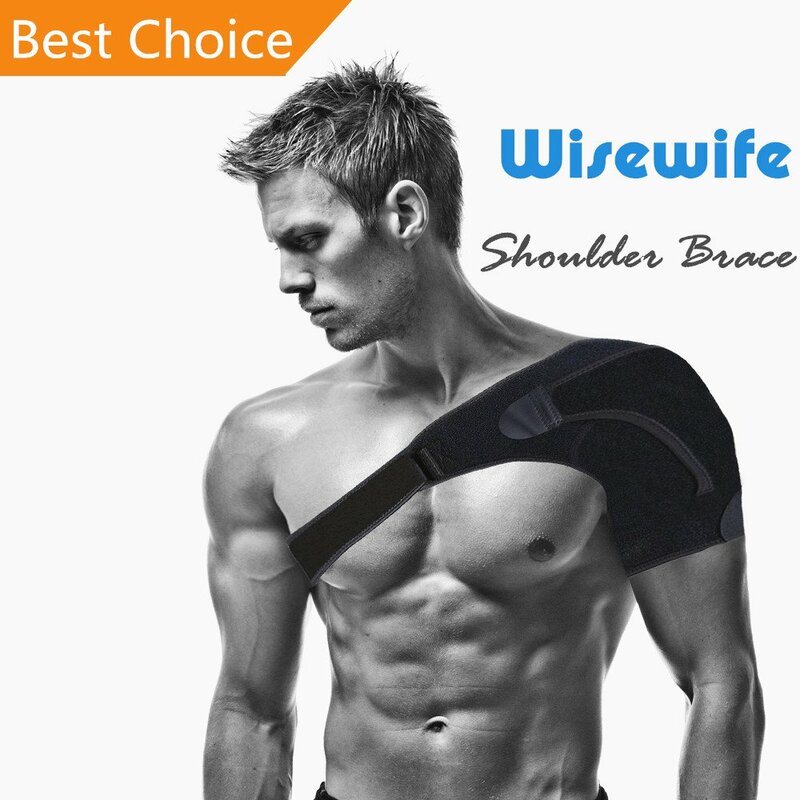 Overall, this is a great all round and versatile shoulder brace. 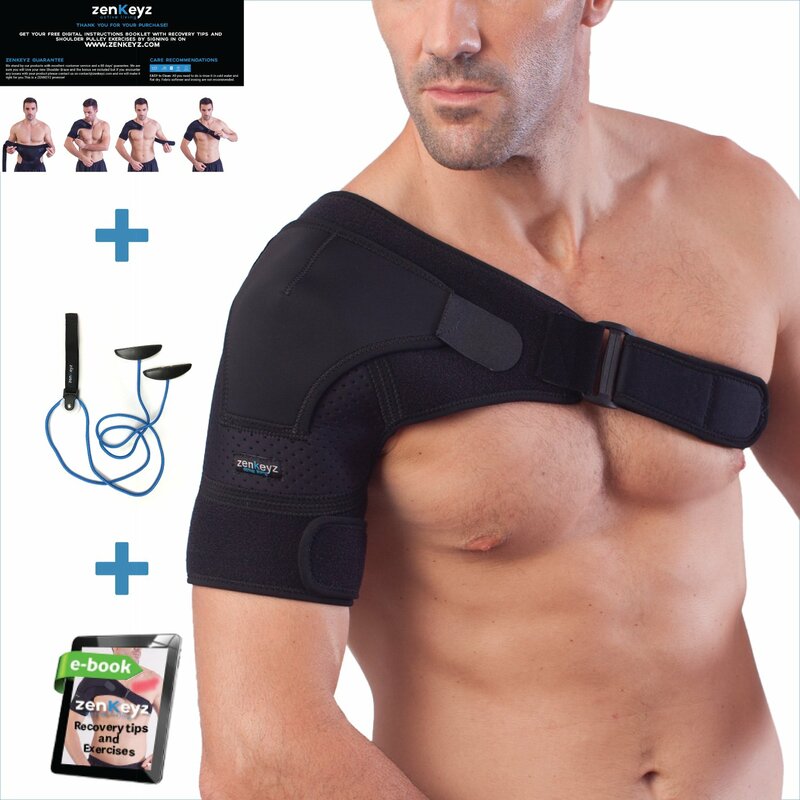 If you’re simply looking for a quick and easy to use brace to ice up an sore shoulder, this might be the one for you. It is very lightweight and won’t give you the support and compression that the other’s on the list will, but that’s not what it is for. This is mainly just to hold the ice gel pack in place and help keep that swelling and pain under control. This pack includes a shoulder wrap, a standard wrap, support straps and a dual use hot/cold gel pack, so it has everything you need if you are only after some hot and cold therapy. It also has printed instuctions and video instructions, so you’ll be in no doubt as to how to get the best use out of it. We recommend the Babo Care Shoulder Support as our top pick for something to help an ailing shoulder. While everything on our list is definitely high quality, the Babo on just edges out the competition in all areas. Our shoulders felt really solid and well protected in this, but it wasn’t too bulk or cumbersome to wear. It could also be slipped on under our work clothes, so it won’t distract from any of your business meetings on dealings with clients. We also liked the neoprene fabrics, which felt very comfortable and breathable on our skin. To be honest, it was hard to come up with a budget pick as so many of the shoulder braces we looked at seemed to hover around the same price tag. That said, the Breathable Shoulder Stability Pad was the cheapest of the bunch that didn’t sacrifice on quality or materials. If you’re on a tight budget or are looking for the best bang for your buck, as they say, check this one out. Why use a Shoulder Support? The most common cause of shoulder injury and shoulder pain are those that come from lifting heavy loads, such as weightlifting or jobs in industries like construction that often involve heavy machinery and materials. There can also be a lot of injury from athletes who use a lot of shoulder motion, such as swimmers or tennis players. Shoulder braces and supports help a lot with the healing process. Rotary cuff injuries are one of the most common. This is when the ligaments and fibers connecting the shoulder to the arm are damaged, and often results in a loss of motion or strength. Dislocation and separation are also common shoulder injuries, which occur hen the arm pops out of the shoulder joint. While separations can sometimes be quite mild, full dislocation is very painful and requires immediate medical attention. The other most common form of shoulder problems are known as shoulder instability. This happens when the bones or muscles in the shoulder become moved from their normal positions, meaning that movement is restricted and often making the shoulder susceptible to separation or dislocation. More worryingly, instability can sometimes result in the bones rubbing against the joints and muscles in a dangerous manner, wearing down the shoulder over time. Froze shoulder, which is known in the medical world as adhesive capsulitis is a painful and very limiting condition that is just as horrible as it sounds. Basically, it is like having your shoulder encased in ice, being incredibly stiff, painful, and hard to move, and if it is not treated, it can go on for years and years. Sadly, it is a condition that does not have a quick fix, and treatment itself can last for over a year or even longer. However, with the right treatment of exercises, physio the repay and pain killers, your doctor and your therapist will get you on the road to recovery. The problem with frozen shoulder is that it is actually quite a generic term for shoulder problems which can have vague and varied causes. In all cases, it is usually the tissue surrounding the glenohumeral joint (joint capsule) of the shoulder which cause the problems, as they can become inflamed, stiff, unresponsive and extremely painful. This can leave the patient is considerable discomfort, constant pain, and a reduced range of motion on the affected arm. However, the cause of the shoulder problem itself could be a number of things, including seizures, accidents, assaults or serious trauma from attack, falls, strokes, tissue diseases, even thyroid disease or diabetes. Therefore, the doctor and therapist have their work cut out for them in diagnosing and treating the condition. It can usually be diagnosed with a simple physical examination, although X-ray, MRI and anthrogram scans may be needed to get a better picture of it and see the extent of the damage. Treatment is usually a combination of your family doctor and a physio therapist or sports injury professional. It normally consists of three processes. Pain relief – Paracetamol or ibuprofen may be prescribed to ease the pain, and a shoulder brace may be used in order to help support the joint and give compression. Stronger pain and swelling relief – If the swelling is very severe, steroid injections may be given swelling. Getting movement back – Once the pain and the swelling are under control, the physiotherapist will usually prescribe each patient a custom plan of exercises and stretches that will gradually but surely bring the range of motion and strength back to the shoulder. Unfortunately, many people end up making their own shoulder worse by trying to fix it themselves by coming up with their own stretches and ideas. We don’t recommend this at all. This is not a rolled ankle that will fix itself in time. If you think you have a frozen shoulder, get professional help as soon as you can. If you’re suffering from shoulder pain, these exercises might help you out, but please do check with your physician before you try them out. 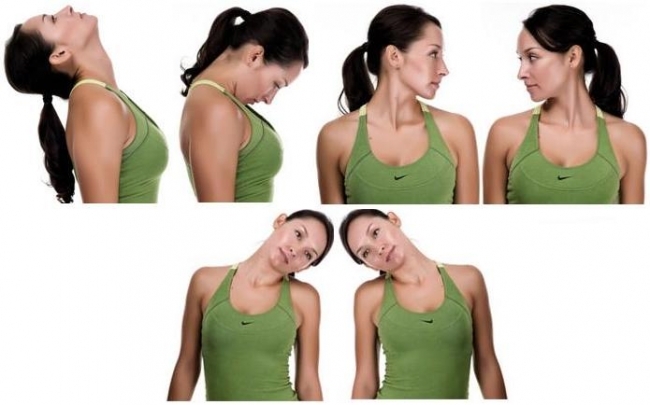 Head Tilts and Neck Rolls – These help loosen up your neck muscles and upper shoulders, which can relive tension and muscle cramp. Be very careful with these. Take them nice and slowly, and don’t jerk, pull or over extend your neck. Shoulder Shrugs – Star of in a comfortable position, on your feet or knees. Simply breath in, and shrug your shoulders, trying to push them towards your ears. Keep your back straight while doing this. This helps firm up your upper back muscles as well as relieving tension. 10 reps should be enough for the average person. Wing Span Stretches – Kneel down, and stretch out your arms. Link your fingers behind your back, with one arm higher and one lower. Slowly breath in, then exhale. Do this a few times , then switch over your arms and do it again. This will loosen up your shoulders as is an especially good stretch if you’ve been hunched over a computer for a few hours. So you’ve just recovered from that shoulder injury, and while everything feels fine now, its left you feeling weak in your shoulder muscles, and carrying things is getting difficult. A good shoulder work out routine will help you build the strength up again. However, the problem for most women is that they don’t want the bowling ball shoulders of Captain America or Thor. So, if you find yourself in this situation, here are our top shoulder exercises for women, which will help you build strength and stability without balloning up into a body builder. If you are not familiar with weight lifting, we strong recommend you as a gym trainer to show you how to do these properly and safely. Doing this routine twice a week will help you get your shoulder strength back. This one is a good old classic that everyone should enjoy. Simply sit down in the chair, keep your back straigh, and sit up as tall as you can with your feet flat on the floor. Then, with a dumbbell in each hand, start of holding them at ear height with your arms bend in right angles. Then, slowly raise them up towards the sky, stopping just before they touch over your head. Then, slowly and securely, bring them back down to the starting position. This is about making slow, steady movements rather than speed, and you should use a dumbbell that isn’t too heavy but does give you a little bit of strain in your shoulders. If you use heavy dumbbells, you must get a spotter. The 3 sets of 6/8 reps with this. Grab two dumbells, again not too heavy, and stand up straight with your back straight, your shoulders back in a natural position and your feet firmly on the ground just under your shoulders. Hold the weights at your waist, and then you are ready to start, Simply raise your arms up wide and open, until you are holding both of them out at shoulder level. Then, slowly bring them back down to your waist, and begin again. As in the above, you are not trying to go for speed here, but rather a steady and smooth motion, and you are trying to keep things stable. Also, don’t use force or momentum from the rest of your body, such as your back or using your legs, as this can lead to injury. You should feel the strain in your shoulders, but you shouldn’t be hurting them or making them unstable, so again, use a light weight for this. Try 3 sets of 5 reps, perhaps pushing it up to 8 if that is too easy. Standing over the machine,bend at the waist until your torso is nearly parallel to the floor (wear a back brace if this is going ot be hard for you). Take the cable handle in your hand using your arm which is further away from the machine. Tense your core, and slowly and steadily raise your arm out to the side, trying to bring it level with your shoulder. once it is there, or near there, pause for a second, then bring your arm back down, ready to repeat. The trick here is to make sure that you do not jerk or make any fast or violent movements. Keep everything nice, slow and steady, and again use a light weight for this. We don’t want you to injure yourself again. Try 2 sets of 10 reps on this.